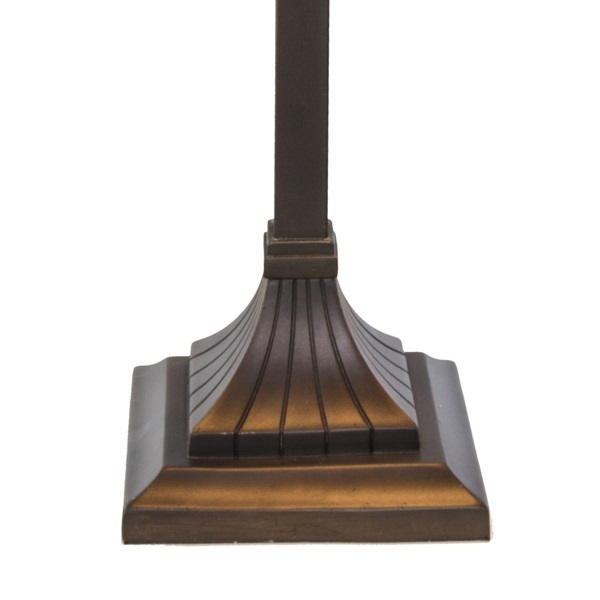 Experience the true beauty of the Craftsman style of lighting! 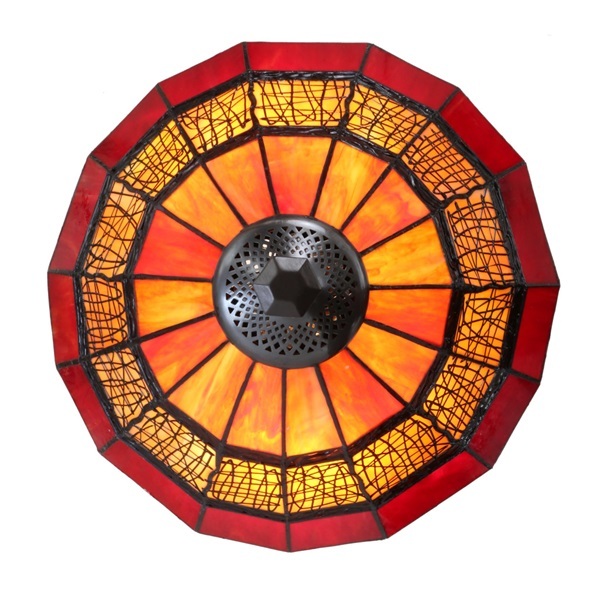 Inspired by the works of great American architects like Frank Lloyd Wright, this lamp blends the clean simple lines of the Arts & Crafts Movement with a painted filigree detail in the center. 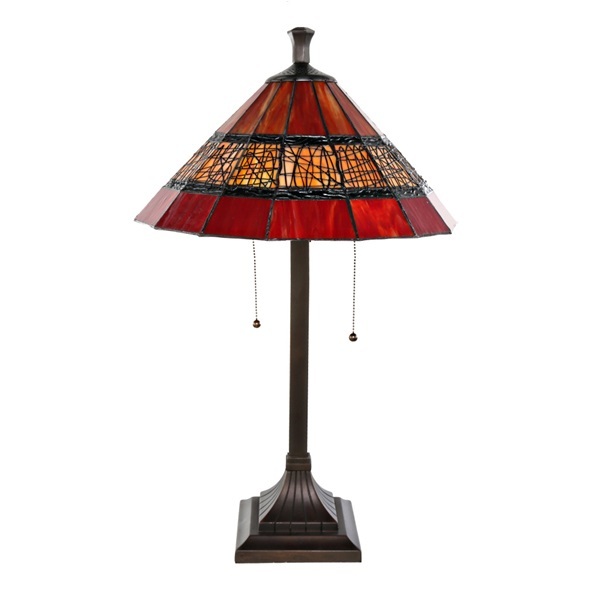 The 75 pieces of handcut stained glass are arranged in rectangular shapes within the shade of this table lamp and are soldered together using the copper foil method made famous by Louis Comfort Tiffany in the early 1900s. 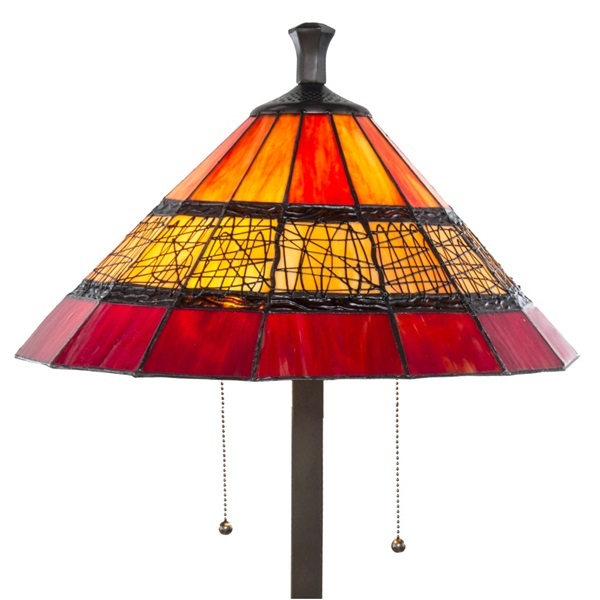 Vibrant hues within each piece of the striated and rippled glass pieces allow the light to dance around each color and bring life to the piece. The center inset pieces feature a focal point of rolling, scrolling lines of painted filigree - the perfect contrast to the straight lines throughout this style. A square brown resin base completes the overall look. 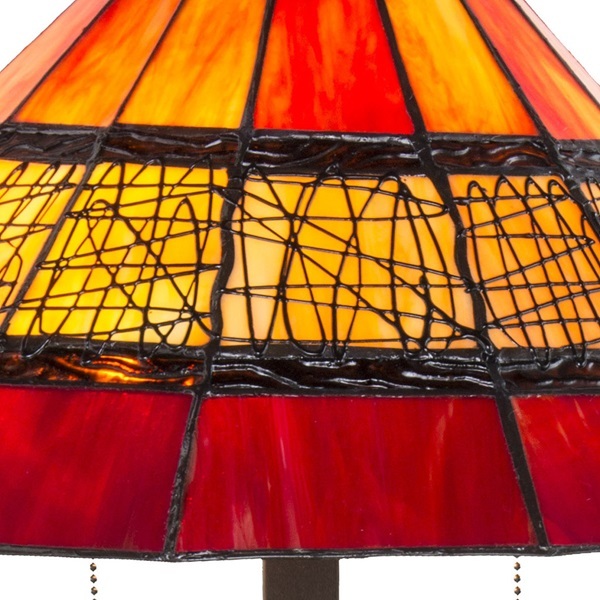 A great way to add light to a living room, library, or bedroom!